My father loved to take us on camping trips when we were growing up, especially during the Christmas holidays. For the most part, I found it boring and I loathed roughing it – but I enjoyed spending the time with my family. On this particular trip, I had no idea what I’d encounter or that I would end up contributing my own haunted stories. My family were fishing at a spot that bordered on an area that contained the old ruins of a settlement. Being fifteen years old, I decided that it would be more fun if I went off to explore on my own. Wandering through the bush and climbing over several outcroppings, I came across an old, crumbling house. It was fun to find the occasional broken cup and rusty cookware – wondering who the family were. Then I heard children giggling. Thinking that it was my two younger brothers, I rushed out of the ruins. I called out their names but they didn’t respond. What creeped me out was the sound of bricks falling behind me. I turned to look back – through the crumbling window frame – and saw several figures whisking past. Being braver than I should’ve been, I ran back inside. My heart stopped when I saw four ghostly children. Two girls and two boys were staring straight at me. The eerie giggles were muffled behind their scary masks. They looked like they’d stepped out of an old photograph – from the end of the 19th Century. 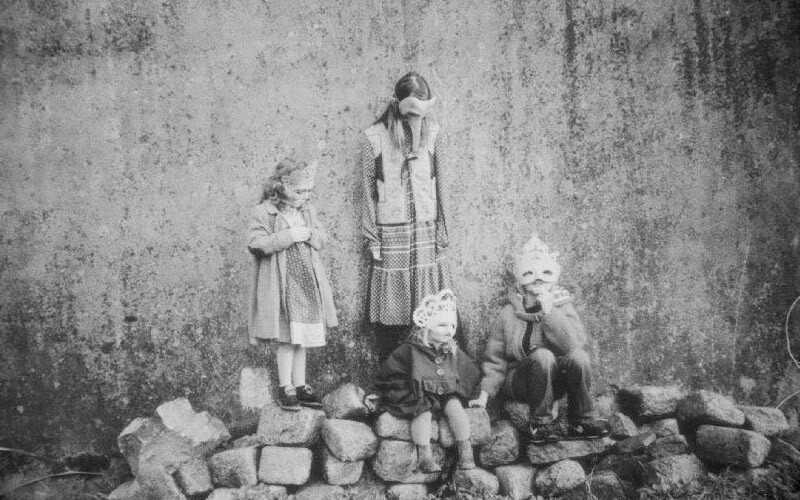 The masks were like the style of old school Halloween caricatures, which made the children even more frightening. Before I could scream, the eldest girl lifted her mask. Her face was skeletal and seemed to be mummified! That did it. I backed out and ran as fast as my legs could carry me – never even daring to look back. I didn’t tell my family about them and for the rest of the day, I continued looking over my shoulder. My father thought that I was sick and sent me to bed early – even though I protested. In the tent, with the lamp on the brightest setting, it took me forever to fall asleep. I don’t know how long I’d been sleeping when I was awoken by the familiar, freaky giggling. When I sat up and looked around, I realized that I was alone in the tent. In the distance, I could hear my family. They were singing songs around the campfire and for a moment I thought the giggling had come from them. Thinking that I’d hallucinated the giggling, I laid back down and tried to get comfortable. That’s when I saw the shadows on the tent wall! I sat up and saw one of the grotesque masks – inside the tent. I screamed as all four of the children laughed loudly, flapping the tent and scrambling around. It felt like they were going on a frenzy – racing around and circling my sleeping bag – giggling and taunting me. When my Dad finally came in and grabbed me, I saw that it was just the two of us. The ghostly children were gone. To this day he tells people that I had a fever. Although I can’t prove it, I know it was real. Would you like to share your own haunted stories? 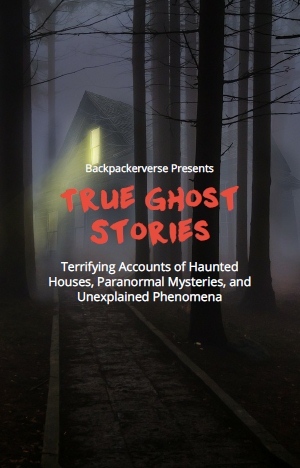 Do you have any paranormal stories about ghostly visitations to share? Tell us in the comments below and share this with your friends. Click the Share button below.